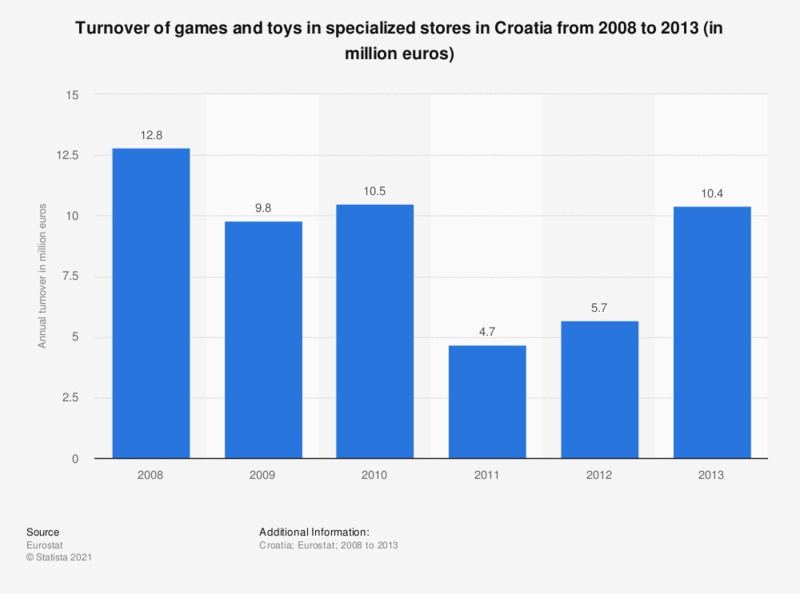 This statistic shows the annual turnover for the game and toy industry in specialized stores in Croatia from 2008 to 2013. Over this period 2011 saw the greatest decline in revenue with 4.7 million euros in sales. Data coverage is for the code G4765 of the NACE_R2 of economic activities ('Retail sale of games and toys in specialised stores').